Welcome Bonus: 100% match deposit of up to $/€200 on the first deposit and up to $/€600 on the subsequent two deposits. Fancy playing at online platforms that boast action-packed lobbies but easy to use interfaces? You certainly need to give Dream Palace Casino a try. Opened in 2012, this online casino is run by ProgressPlay Limited, which is a registered limited company in Malta. Like many other reputable casinos in the world, Dream Palace Casino holds licenses by two of the most respected casino governing bodies; Malta Gaming Authority and the UK Gambling Commission. A click on the website and you will be welcomed by flashy neon lights that shimmer from every angle and a somewhat pixelated background that ushers you into the 21st century. The site is easily navigable with various tabs and categories explicitly displayed for you to find. If you ask us, this casino seems to have discovered the modern player’s secret tastes; they no longer fancy complex websites that are hard to crack. Also, to them, having low-res images is a major put-off. Atop the lively atmosphere, Dream Palace Casino also boasts a robust portfolio of games which range from top-quality slots to mind blogging live games and table games among others. It also provides incredible welcome bonuses and great promotions that are sure to keep you coming back for more action. At this point, we bet you can now clearly understand why this platform has managed to amass legions of gamers since its inception in 2012. We’d hate to bore you with more stories, so let’s just head straight to this palace and find out what makes it a dream gaming destination for many! Understanding that bonuses and promotions are what many players look for in an online gaming platform, Dream Palace Casino has brought together generous offers for both new and regular players. From the exciting welcome match bonuses to several other ongoing promotions, this gaming platform has got you covered. To get you started, it offers 100% first deposit match bonus up to $/€200 when you sign up for a real player account. While this offer is not topped up with free spins, it provides you with the much-needed boost to play big money titles. For your second deposit, claim a 50% match bonus up to $/€300. Finally, the third deposit comes with a 100% bonus match up to $/€300. However, before you get overly excited, let’s break down the set wagering requirements and conditions for these bonuses. Sometimes casinos offer eye-catching bonuses and promotions but then tie to them strict conditions and restrictions. As such, it’s crucial that you take time to understand them properly. As for the Dream Palace Casino, the conditions are simply typical. The minimum deposit you can make is $/€10 while all the bonuses come with a wagering requirement of 50x. The maximum amount of money you can cash out is 5x the deposit value. All bonuses expire after 30 days from the time they were disbursed. If you thought the bonuses are just for new players at Dream Palace, you couldn’t be more mistaken. This is because the platform offers a plethora of outstanding promos for regular players too. For example, you stand to win spontaneous bonuses through the weekly surprises promo run by the casino. There’s no mention of exactly how much is up for grabs every day or week but we understand the figures usually run to thousands of Euros every week. The more you play and deposit here, the higher your chances of getting rewarded in this promo. 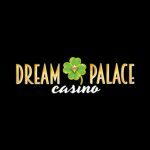 You can also be part of the group of new players that are selected for the Wednesday Wildfire promo to receive special offers from Dream Palace. To win personalized offers such as free spins and bonus money, keep a close eye on your email and act fast as the promo lasts for a day only. Finally, request a cashback through the Roulette Cashback offer provided by this casino to its roulette players. In case Lady Luck is not your side on a particular week and you record persistent losses, you can claim up to 15% of your deposited money for the week as cashback. It couldn’t get better than this. Perhaps what we’d like to see Dream Palace introduce now are free spins, whether given as part of a deposit bonus or, better yet, as a no deposit bonus offer. This will attract more slots enthusiasts to the platform and make it even bubblier than it is now. Considering that safety, efficiency and reliability are key factors that come into play when selecting a casino, most gaming platforms make sure they partner with reliable payment options in the industry. Dream Palace has not been left behind in this area. The platform liaises with some of the top-rated payment providers in the world today to ensure seamless and secure transactions. You don’t have to worry about needless lag time or the security of your hard-earned cash when playing here. You need to deposit at least $/€10 to get started while the minimum amount you can withdraw is set at $/€ 20. 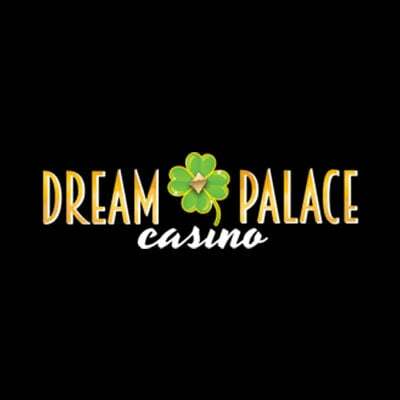 The maximum cash you can withdraw from Dream Palace is capped at $/€3,000 per a week and $/€6,000 per month. However, winners of the Divine Fortune jackpot can withdrawal up to $/€30,000 in a single transaction/month. When it comes to casino games, Dream Palace Casino lives up the grandeur of its name by offering a diverse range of titles from some of the world-leading gaming software developers. This instant-play platform boasts a full line-up of exciting games from Microgaming, ELK Studios, NextGen, Genesis, Quickspin, and Thunderkick among others. Their games are not only available for desktop computers but also mobile devices, meaning that you can play your favorite game anywhere. Relish the adrenaline boost that come with playing slots or the excitement of table games and scratch cards? Dream Palace has got you covered. Find some of the newest and most popular slots its portfolio including the likes of Vegas Strip Blackjack Gold, Lucky Leprechaun, Forsaken Kingdom, Game of Thrones, Scary Friends, and Volcano Eruption among others. Make sure to also check out new monthly releases which exude stunningly modern graphics and cutting-edge themes for an innovatively indulging gaming experience. If you want to play more advanced games, then Microgaming’s progressive jackpots also found at Dream Palace will possibly quench your thirst. Other games to consider while here include scratch cards and e-sports betting among others. Are you a live-game enthusiast? You will marvel at the brick-and-mortar experience offered by the impressive collection of card and table games at this casino. These include multi-player Roulette, multi-player Baccarat, multi-player Blackjack, Live Roulette, and Live Baccarat. These games are broadcasted straight from a professional studio and come with similar rules as those on land-based casinos. Want to play straight from your mobile phone? Pour yourself a cup of coffee, recline in your comfortable sofa, and get ready to play more than three pages of slots and other titles on Dream Palace’s mobile casino. Its website uses a minimalistic HTML5 browser-based interface which ensures that you touch and play your favorite game without downloading any apps. While ProgressPlay Limited may not be one of the household names in the casino industry at this time, it’s worth mentioning that it operates a host of online casinos including Dream Palace Casino. Also, having been in the industry for close to a decade now, we can comfortably say that it is a serious stakeholder with significant experience worth boasting for. Expect to see fresh ideas and sophisticated touches on Dream Palace – just what you need to find in a modern casino. An area we commend this casino as far as security is concerned is its partnerships reliable payment getaways and gaming providers. No player wants to risk playing at a casino that works in cohorts with shady dealers. What’s more, sensitive information on its website including registration and banking details are protected using highly secured SSL encryption, which is the gold standards for online safety. For anyone that could be worried about the fairness of the games available on this platform, the eCogra seal displayed on its website certifies that all its titles have been tested to guarantee randomness and integrity. Finally, Dream Palace Casino underlines its position on responsible gambling by offering online tools to help players control the amount of money they spend on gaming. Besides, the company has several mechanisms in place to ensure that underage persons don’t engage in gambling. By implementing all of these measures, you can trust that your money, data, and kids are safe. While the Dream Palace Casino emphasizes their relentless commitment and determination to providing the highest level of customer support, some players feel that they haven’t done enough on this section. In case you have any concerns or questions, you can reach out to the platform’s customer support representatives via email or live chat; unfortunately, the site lacks a direct line to their help desk while their team is not available 24/7. While we think that a majority of common queries and concerns by players have been comprehensively addressed in this casino’s extensive FAQs section, we’re of the opinion that this doesn’t make up for the absence of direct contact. As such, this is one area we’d like Dream Palace to amend going forward. Are we comfortable recommending Dream Palace Casino to our readers? Sure. We feel that it has and continues to do enough to get our nod here. The vast array of games available here, secure and easy to navigate platform, as well as numerous payment methods are some of the aspects we found very impressive about the casino. We have to admit that not everything is right though. 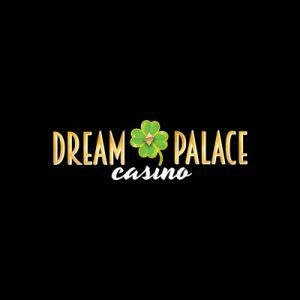 For example, some gamers have aired out their concerns about a lack of free spins offers and direct contact number; we are in agreement with them on these and hope that the management at Dream Palace will act to resolve these complaints fast. Other than that, we consider this platform to be a great place to kick start your online gaming expedition. As always, remember to claim your welcome bonus and get started on a winning note.